Hybrid Green™ represents a tremendous leap forward in pigment-based colorant technology; delivering a stunning natural color under a wide range of usage rates. Unlike other colorants and paints, Hybrid Green™ does not fade to blue over time, nor does it shift to blue at lower dilutions. This results in an extremely versatile product that can be used effectively at a previously unheard of 64 oz. per acre rate, while still maintaining a fully natural color. 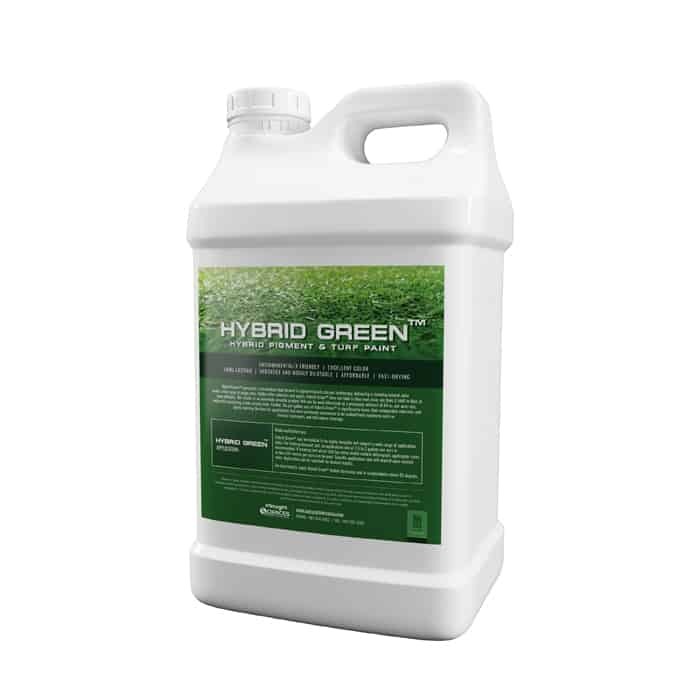 Further, the per-gallon cost of Hybrid Green™ is significantly lower than comparable colorants and paints, opening the door for applications that were previously considered to be prohibitively expensive such as fairway treatments, and full-course coverage. 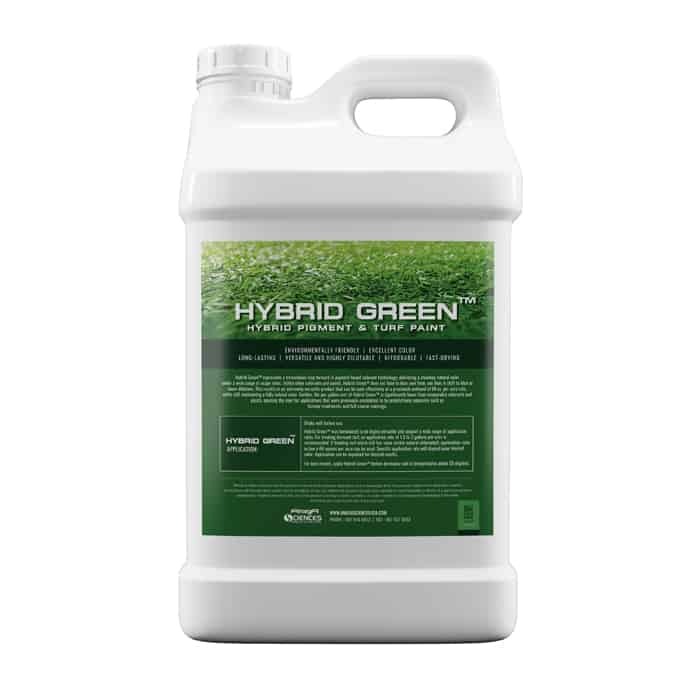 Hybrid Green™ was formulated to be highly versatile and support a wide range of application rates. For treating dormant turf, an application rate of 1.5 to 2 gallons per acre is recommended. If treating turf which still has some visible natural chlorophyll, application rates as low a 64 ounces per acre can be used. Specific application rate will depend upon desired color. Application can be repeated for desired results. For best results, apply Hybrid Green™ before dormancy and in temperatures above 55 degrees.